Lynsey Sharp is limbering up for the Olympics but says Rio will have to be pretty special to surpass her 2014 Commonwealth Games experience. Sharp was a controversial choice for the Olympics four years ago when she was chosen ahead of four athletes who had faster season’s bests and went to the London Games with only a ‘B’ qualifying standard. But such as been her progress over the last four years, the selectors’ decision was justified. “I had been stuck around the two-minute mark for two years (2011-12) but I knew I had way more than that in me,” she says. “I knew I was ready to make a big jump but unfortunately I was injured in 2013 so it took until 2014 for it to happen. “In 2014 I opened with 2:06 and I was like, ‘Am I the same athlete I was before?’ But the more I raced, the better my times and I got down to 1:58.80 in 2014 and 1:57.71 last year. Sharp is the 2012 European 800m champion, finishing second in the race but being upgraded a year later when Yelena Arzhakova was disqualified for a drug offence. It is a bittersweet memory. 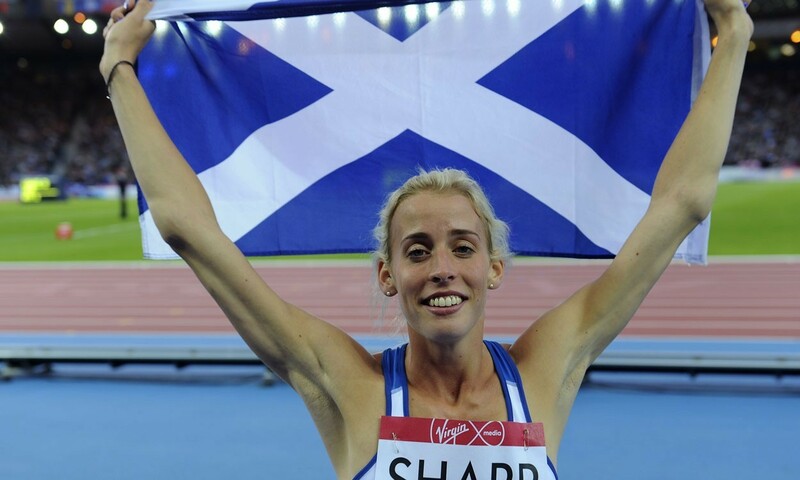 Sharp enjoyed 2014 far more – a year that saw her win silver in the Commonwealth Games in Glasgow and then 15 days later silver in the Europeans in Zurich. Nothing is ever straightforward with Sharp, though, and she spent the night before the Commonwealth race in hospital on a drip. Sadly, she will not be able to take part in the 2016 European Championships as she feels it is not the right preparation for Rio.